In 1975, two Swiss designers, Max Miedinger and Eduard Hoffmann came out with the font Helvetica. Since then, it has been used on some of the biggest brands in the world, such as Verizon, 3M, Kawasaki, Jeep, Tupperware, Target, Panasonic, and Apple. For most of us, unless you are a designer in some capacity, the font choice on reading materials is overlooked or completely ignored. But there may be something that still triggers in the subconscious that helps you recognize a good font. In one study at MIT, subjects were found to be in a better mood after reading something with “good” typography. The subjects also saw improved performance in certain cognitive tasks after reading the “good” typography instead of the bad. Today, there are over 33,000 fonts available on sites like MyFonts.com With so many choices, and so much at stake, how do you know which to choose? 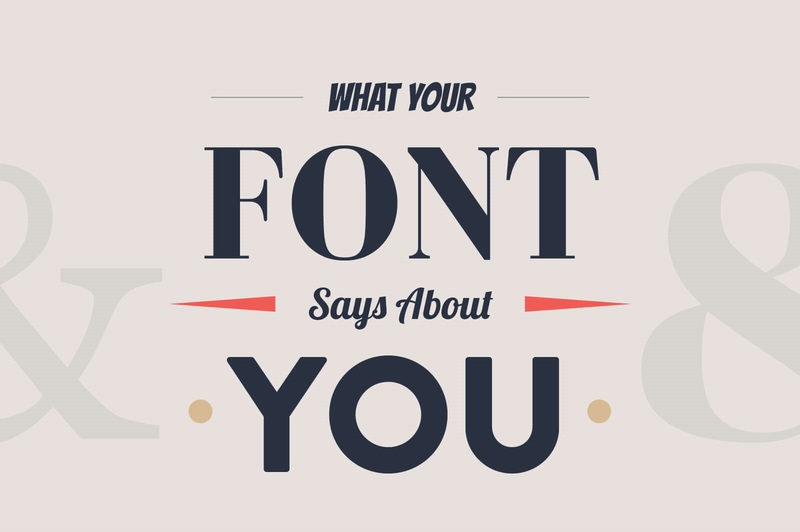 And furthermore, when choosing a font, do you know what message it might be conveying to your readers? Getvoip put together an infographic below that looked at some of the most popular fonts of the day and provided some feedback on what message you might be sending with that font choice or style.